The spectacular course at Aviara Golf Club in Carlsbad is complemented by premier golf facilities, including a practice driving range, putting and pitching greens, an industry-leading GPS system on all golf carts, and an upscale golf shop. You can count on our attentive staff to provide you with the personalized level of service that travelers worldwide have come to expect from the Park Hyatt. With high quality club rentals and couples lessons based on availability, you can be assured that your golf experience at the Park Hyatt Aviara Golf Club will be well above par. The elegant two-story Spanish colonial clubhouse features locker facilities, a full-service bar, a cozy lounge with fireplace, and the adjoining Argyle Steakhouse with indoor and outdoor balcony seating overlooking the fairways. Kip Puterbaugh’s Aviara Golf Academy, located at Park Hyatt Aviara Resort, is the longest running golf school in the Western United States. Opened in 1987, Aviara Golf Academy was named a Top 25 U.S. golf school by Golf Digest, and Puterbaugh consistently ranks as a Top 100 golf instructor. The professional team of six instructors has a minimum of seven years of experience at the facility and the ability to combine a curriculum that gives students of all playing abilities a great opportunity to learn. The Aviara Golf Academy is home to the first TaylorMade Performance Lab in the country. Previously available only to PGA touring professionals, the two-hour custom fitting experience includes a driver, fairway woods, hybrids, irons, wedges, and putter. Golfers of all ages and skill levels can improve their game with custom-fit equipment by TaylorMade. 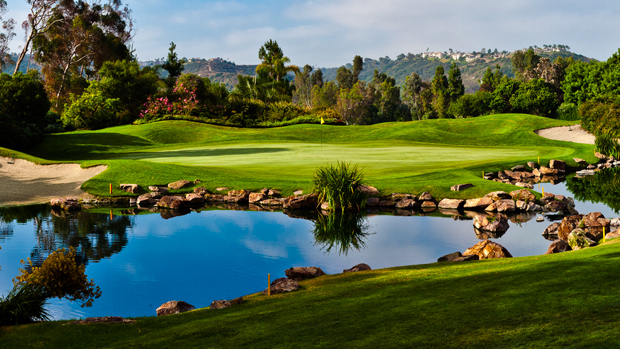 Meeting planners discover a rare and memorable venue at Aviara Golf Club. 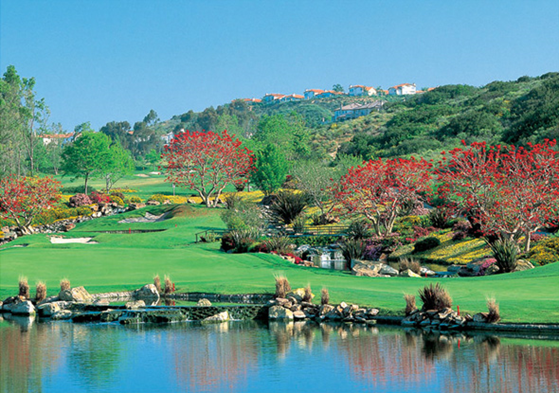 Home to the 2013 and 2014 LPGA Kia Classic, Aviara Golf Club boosts a 7,007 yard, par 72 layout that is home to the best LPGA-touring players in the world and an ideal venue for corporate, charity, or group events and outings. 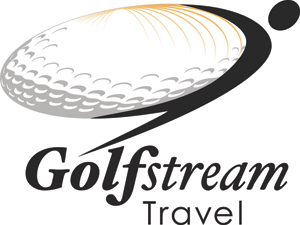 Allow our professional staff to handle the details of setup, scoring, contest coordination, and group clinics, as your group savors a personalized, once in a lifetime golfing experience in Carlsbad, California. With views of the foothills, the 540 square foot Park King Room features a plush King bed and a furnished balcony for relaxing and dining. Unwind in the cozy sitting area furnished with a sofa or armchair, 42” plasma TV and DVD player. A marble bathroom includes dual vanity sinks, glass-enclosed shower and a deep soaking tub with a separate water closet. 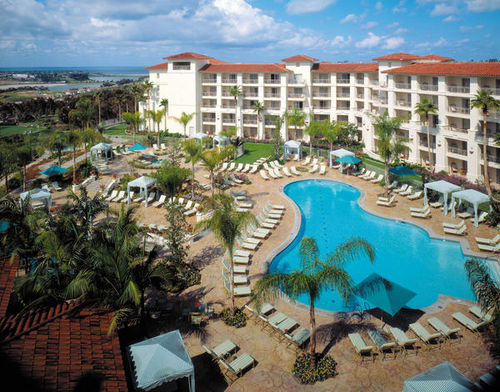 These are among our most popular San Diego resort accommodations. Located on each floor, the 855 square foot Park Suites at our San Diego area hotel have either two large balconies or a landscaped terrace overlooking the sparkling pool or Palm Courtyard. Solid mirrored doors separate the bedroom from the living room, ensuring privacy while meeting with colleagues or entertaining friends. The living room is furnished with a double sofa bed, armchairs, writing desk, 42” plasma TV and DVD player. The marble bathroom offers double sinks, a glass-enclosed shower, deep-soaking tub and separate water closet. Park Hyatt Aviara Golf Club – Home to the LPGA Kia Classic, an 18-hole Arnold Palmer-designed course complemented by a practice range, putting and pitching greens, industry-leading GPS systems on all golf carts, and an upscale golf shop. Also featuring Kip Puterbaugh’s Golf Academy and the Taylormade Performance Lab. Aviara Spa – An intimate oasis with 20 treatment rooms, a romantic couples suite, and an indoor coed solarium lounge. Locker rooms feature aromatic steam rooms, saunas, and whirlpools. Fitness Center – 24 hours, featuring the very best in cardio and fitness equipment. Pools - Family Pool and an Adult Pool with panoramic vistas. Park Hyatt Aviara Tennis & Recreation Center – Four hard and two clay courts amidst a botanical setting, and complemented by a Peter Burwash International instructional program. Local Activities – helicopter tours, hiking, hot air ballooning, para-gliding/hand-gliding, wine tasting. 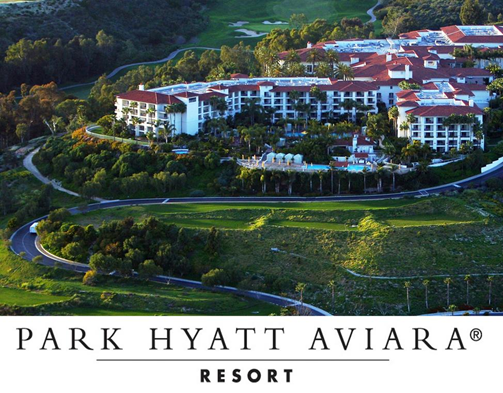 Park Hyatt Aviara Resort is a luxury hotel in Carlsbad, California for everything you do in North San Diego County. Our elegant hotel offers an array of lifestyle amenities and services - from fine dining to meeting space to our friendly concierge. Experience a contemporary Carlsbad hotel with a warm Southern California ambiance where you are free to relax, indulge, play, work, dine, meet and explore San Diego. Enjoy dining in your room or suite in San Diego or ask our concierge to arrange restaurant reservations, tee times and tours. Whether you are staying for business or vacation, our stylish hotel near San Diego has the atmosphere you need to relax and stay productive. Italian for "alive," Vivace serves innovative Italian cuisine in a chic, contemporary atmosphere. The exquisite regional Italian fare features decadent entrees with a comprehensive wine list highlighting selections from regions throughout Italy. One of the finest Italian restaurants in San Diego, Vivace is the place to share good food and wine with family and friends. Vivace surrounds you in warm, elegant Mediterranean-style décor with Venetian plaster walls faux-finished in burnt orange, rich wood paneling and stone tiled floors. Floor-to-ceiling windows frame alluring views of the lush landscape. Tables are appointed with an eclectic array of accessories including elegant Italian flatware. Dine by the cozy fireplace in the winter or on the terrace during the warm California summer, while enjoying the spectacular Southern California sunset. For over 20 years, The Argyle Steakhouse has been a favorite restaurant with San Diegans. The premiere steakhouse restaurant in North San Diego, Argyle presents an impressive menu with the finest cuts of California Natural beef paired with 150 wines and homemade cocktails from the bar. With evolving seasonal menus, Chef Kurtis Habecker cooks with only the freshest, local organic ingredients. The Argyle Steakhouse offers an elegant, warm atmosphere for dinner or casual lunch. 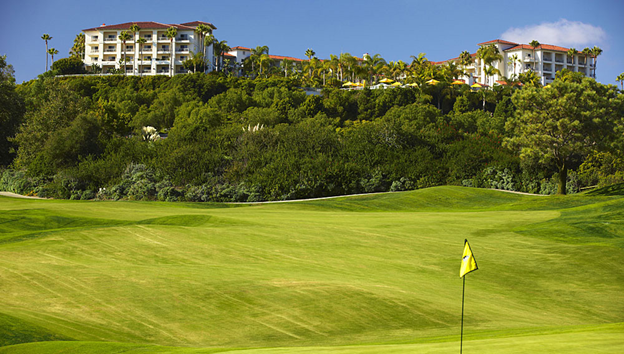 Relax on our terrace with breathtaking views of the 18th green and wildlife of Batiquitos Lagoon. Stop by for a lunch of light California fare, including fresh seafood, pasta, salads and sandwiches. A Saturday and Sunday brunch is a fabulous Southern California twist on breakfast. California Bistro blends the culinary comfort of a modern bistro with seasonal farm-to-table cuisine that showcases market-fresh ingredients indigenous to Southern California’s fruitful terrain and bountiful waters. Sourcing locally from notable farms and artisans, such as Crows Pass Farm, Blue Heron Farm and Jidori Chicken, Chef Joran Bouwman has cultivated a farm-to-table menu that celebrates seasonality. Simple, beautifully prepared dishes with the freshest organic and artisanal ingredients create a gastronomic adventure. Experience a luxury hotel and resort just minutes from San Diego on the beautiful Southern California coast. 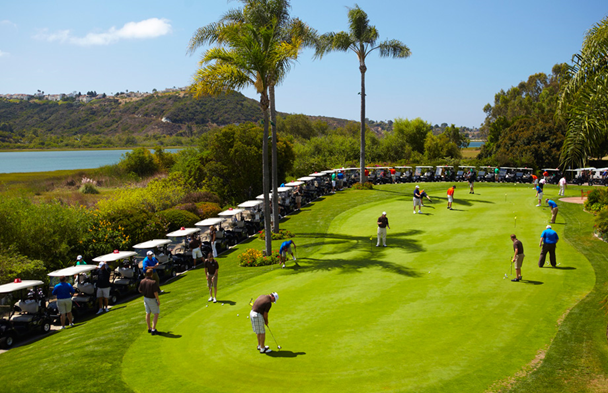 Located on a natural lagoon in Carlsbad, just north of San Diego, our resort features wonderful restaurants with sumptuous cuisine, a signature spa, luxurious guest rooms and suites and an 18-hole Arnold Palmer-designed golf course. Overlooking the Pacific Ocean, our beautiful San Diego area hotel offers passionate service and unsurpassed hospitality for your next family vacation, romantic retreat, golf getaway or business trip. Vivace – Four diamond signature Italian restaurant offering interpretive, regional cuisine. California Bistro – Local seasonal fare inspired by Southern California amidst al fresco terraces. Argyle Steakhouse – Four diamond elegant, casual dining at Aviara Golf Club above Batiquitos Lagoon. Ocean Pool Bar & Grill – Relax poolside and enjoy creative twists on American specialties. Lobby Lounge – Evening cocktails, light fare, tapas, and live entertainment.